One of the things that sets FlatClub apart is a specialty in extended stays. Our average stay is about 30 nights! That’s often music to the ears of hosts as longer stays mean a little less work. FlatClub is the perfect place to find a long booking. We’d like to share a couple simple pointers to make sure your flat looks great to guests shopping for extended stays. The longer the booking, the more likely a guest will be on the hunt for a bargain. You’ll more than make up the difference in the amount of nights spent. Our platform makes it easy to discount for stays over 60 nights, and over 90 nights. Simply add a percentage discount into the pricing tab of your flat. Discounting your prices on longer stays is an irresistible hook to guests planning to spend a few months in your city. Your search ranking determines how high up on the search results page your flat is. Take a look at our blog for an in-depth look at how the search ranking works. Among the most important are responding to requests and messages as soon as possible & updating your calendar frequently. Once you do have a booking, be sure to leave a review for your guest. Writing reviews will gain you more reviews. Guests who are spending a lot of time in a flat are concerned about quality and positive reviews are one of the best ways to show it. It is important to be informative in your description for all guests, but long stay guests have different needs. For instance, you may include the distance to the nearest public transport, supermarkets, laundromats, and anything else you’d need access to during a stay of more than one month. We are always available to assist improving the quality of your posting and helping to reach the right guests for you. 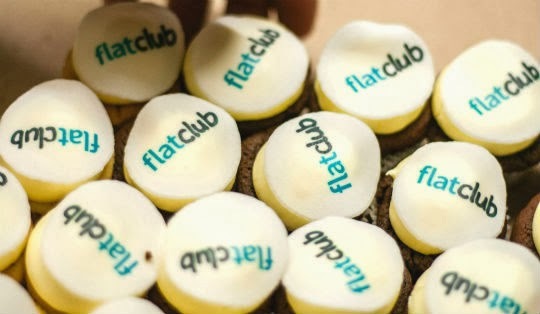 Get in contact with our Host Relations team by emailing hosts@flatclub.com, or telling us when we should call you at flat-club.com/hosts. We like to point out cool start-ups and Evisors is an exciting concept. They make it easy for universities to connect students with relevant alumni advisors. Evisors uses network connections to help people make a career move in the same way that FlatClub can help you move anywhere. Evisors is a personalized career advice marketplace founded at Harvard Business School in 2010 and have opened the platform so now anyone can book an advice session with an expert in the field of their choosing. For students, graduates, & everyone else, they provide resume & cover letter assistance from experts, practice interviews, and of course, career advisement. Alumni can also become an advisor & make a difference in addition to some extra cash. You can sign up via LinkedIn and your experience will automatically be ported over to your Evisors profile. We think making top advisors & experts more accessible to the public is pretty cool, and the chances are good that you’ll find someone with relevant advice for you & your future, no matter your field. Did you catch all the big updates to FlatClub last year? If not, our recap earlier this month will get you up to speed. We've made improvements across the platform as well - things that will make it easier for you to post a flat, maintain your listing, or search for accommodation. 1. Club Search - We've added an intelligent auto-fill to our club search! When you're searching for a club you can enter in just a portion of the name and our search will do the rest of the work for you. 2. FlatClub Photography - Now flats & hosts who have taken advantage of our free photography service will be labelled as verified, giving guests an extra bit of peace of mind. 3. New Cancellation Policy - We've added a new cancellation policy - giving our hosts and guests both more choice & freedom when renting out or booking a room. 4. Mobile Support - We've made nearly 100% of our site optimized for mobile & tablet browsing. So you can post your flat on the morning commute, or look for a place to stay on the run. 5. User Verification - Take a look at your profile - see anything new? We've added verifications for our guests & hosts! Get all the checkmarks & become irresistible to hosts & guests alike. When a guest is searching for a place to stay on FlatClub, the top of the search results page is a very good position for hosts to be. We make sure that our best hosts & flats are seen by our guests first, so we know that they'll be happy. So, what can you do to increase your search ranking on FlatClub? There are a few easy steps you can take with your flat, profile, and actions you take on the site that will add points to your ranking - and therefore boost it! Improve Your Profile - Did you know that club members are ranked higher in search results? Search for your club & if it isn’t there just tell us your university, company, or professional organization and we’ll add it for you. Upload a picture of yourself & include a bio in your profile, and get another easy set of points. Every verification you get on FlatClub (see what you have & don’t have on your profile) also adds points. Improve Your Flat- Make sure you've got at least 7 photos to get the maximum number of points for your pictures. You'll get bonus points if you've gotten your flat professionally photographed by one of our FlatClub photographers! Ask for our free photography service. By making your flat the best it can be, guests will save it more often to their favorites - another way to earn points. Actions on the Site - Positive reviews are one of the biggest search ranking boosters - nothing indicates a quality host more than positive experience! If you haven’t received any reviews yet, consider lowering your price (at least temporarily) to get a few under your belt. Update your calendar every 30 days, get a bonus every time. Make sure that you’re responding to messages and requests within 24 hours - timeliness counts a lot for search rankings. So that’s it - just be the best host you can be, and you’ll be right up there at the top of the search results page! For more information on hosting, visit flat-club.com/hosts, or email hosts@flat-club.com. We mention often how important pictures are to your flat’s success. High quality photography guarantees that your flat has the best chance at getting booked. Our first recommendation is always to take advantage of our free photography service and get professional photos taken. However if you prefer to your pictures a personal touch and give flat photography a go yourself, we have some great tips from our photographers. 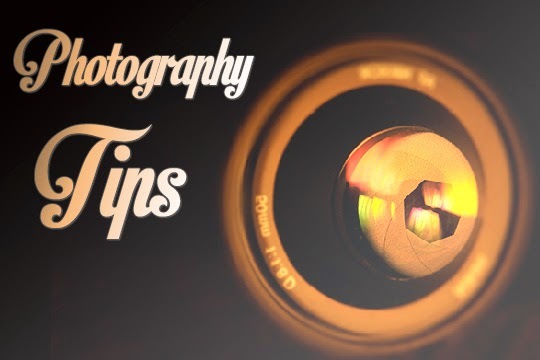 Follow these 7 tips to photograph like pro! 1. Natural light is best, so get those curtains open and blinds up! Keep your lamps on, however - as the more light, the better. 2. Try to shoot your pics low and from the corners of your room, so you get as much of your surroundings as you can. Don’t angle the camera too much, as this will distort the photograph and make it appear that your walls are bending. 3. Make sure that your flat is very tidy - clean it as if your guest will be arriving shortly. After all, this will be the first instance of your flat being seen by a potential guest! 4. Replace your bed linens with fresh ones - optimally, single color sheets as they look best when photographed. 5. Close all closet doors and drawers. 6. Put out some homey props, such as a bowl of fruit or a bottle of wine. 7. Basically, act is if your guest is coming that day, and clean up accordingly! If you want anymore tips on how to make the most out of your flat, please get in touch with us at hosts@flat-club.com, and we’ll help you in any way we can. We like new beginnings and the occasion to recap. Your support helped us achieve several milestones that made 2013 a year to be proud of - Thank you. We launched the FlatClub 2.0 platform this summer & improve it every week. Check in with our product news anytime on the blog. We threw our biggest party yet with customers, friends, & associates at Google Campus in London. Some fantastic photos made their way to Facebook. We closed our largest round of funding to date. We're extremely proud to have the endorsement of such talented, experienced investors. We moved (with the rest of TechHub) to a shiny new, modern & hip new space! We're just getting settled in & loving the new view. Our global flat count hit 10,000 this year and we're aiming even higher for 2014. Take a look at where they are situated around the world. Kitty, Dominic, David, and Dmitri joined, bringing new skills and another 4 languages with them! We're very happy to have them on board. We hope this next year brings us all prosperity and happiness - and with any luck, lots of travel! New York City is one of the most well-known locales in the world - with internationally renowned cuisine, entertainment, vistas and more. Everything that a city can offer NYC has in spades - and we can help you get there. On FlatClub we have short term rental rooms & apartments throughout the boroughs of New York, so wherever you need to be in the Big Apple you can find it on FlatClub. If you’re interested in food, a good place to situate yourself is near Brooklyn, where you can find what many restaurant critics & pizza fans consider the best slice in New York: Di Fara Pizza - an unassuming pizzeria in a sidestreet of Brooklyn. Not only that, but many other star & soon-to-be star restaurateurs make their home here. Check out places like Sweet Chick for fried chicken, and Chuko for ramen. 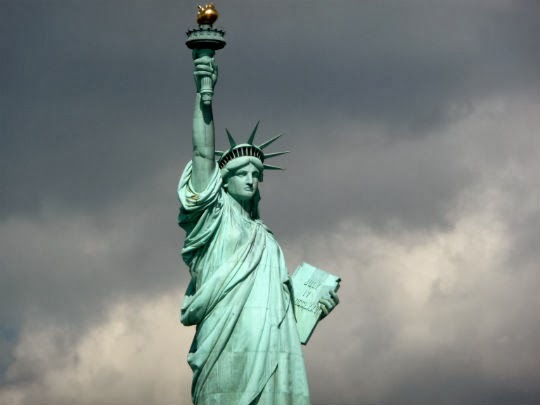 If it’s a lovely view you’re after, head to Manhattan where you can find both Battery Park City and Governor’s Island where you can have a delicious picnic while looking at the Statue of Liberty. Entertainment can be found anywhere in NYC depending on what you’re after - for example, the Theatre District in Manhattan hosts broadway productions right alongside more independent performances from local artists. If you’re a sports aficionado, you need to check out Yankee Stadium in the Bronx. If you don’t mind sitting way, way out the price is unbeatable at $10 or less - you can also get better seats at fair prices, but half the fun of going out to a baseball game is complaining about the distance. There’s way more in New York City than this, of course - but we hope that you’ll get some fun ideas for your trip from us. If you haven’t been able to find that perfect spot in NYC yet, let us know via our Expert Search and we will help match you to one of our flats -- all for free! On FlatClub we offer a free copywriting service for our hosts to better optimize their postings. If you’d like to get your copy improved, send us a message. Here is how we’re going to improve your posting description. Start off with a personal intro, things like who you are & why you’re subletting your flat. It’s also a good idea to mention the sort of tenant you want. You don’t have to go into too much detail here. Flat/Room:Make a separate header for the flat or the room. Describe the amenities, vital information on your flat, and what guests can expect in the property. If you are renting out a room, use this area to explain what your guest will have access to in the building. Location/Travel:Describe the location and travel options for your flat, things like where the nearest tube station is and if the neighborhood is quiet. Then all you have to do is close off in a friendly way and tell your guests that you’re available to answer questions. Take advantage of our expertise and request copywriting services by sending us a message at hosts@flat-club.com.